The federal government is investigating Clayton Homes, the mobile-home business in Warren Buffett’s empire that was the subject of a news investigation into its lending to low-income and minority buyers. Federal officials are investigating the lending practices of Clayton Homes, the mobile-home company under the umbrella of Warren Buffett’s business empire, following an investigation by The Seattle Times and BuzzFeed News that raised questions about how the company targeted and treated minority borrowers. Brian Sullivan, a spokesman for U.S. Department of Housing and Urban Development, said the examination of Clayton is ongoing. He declined to discuss the details of the review, but nonprofit reporting outlet Reveal reported earlier this month that an investigation had been sparked by a 2015 article by the Times and BuzzFeed. That story traced how Clayton’s market share among minorities had grown dramatically. 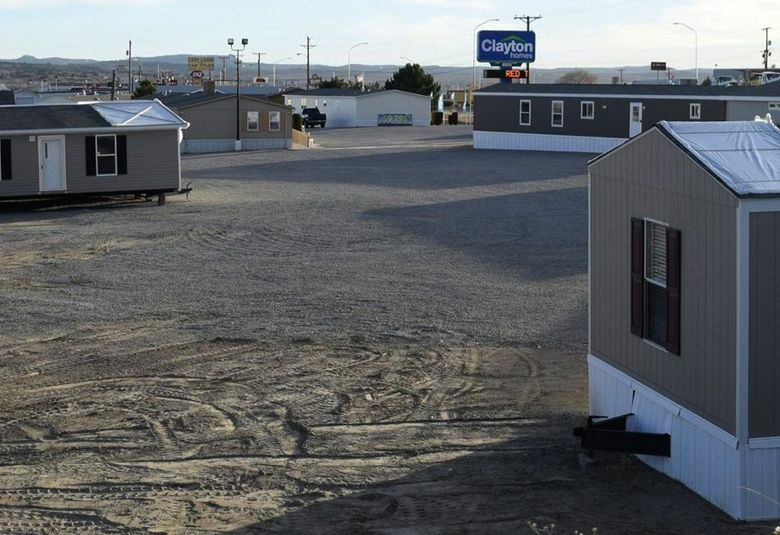 Among thousands of lenders required to report federal loan data, Clayton’s lending divisions made 72 percent of all mobile-home loans that went to black borrowers. The story also examined the disparities between borrowing rates for minority and for white customers, along with accounts of racism within the organization. Gwen Schablik, a former Clayton employee who was featured in the 2015 article, said officials from HUD and the Department of Justice interviewed her about the issues last year. Schablik has said that she and other staffers raised concerns with superiors about Spanish-speaking borrowers who had signed loan documents they couldn’t understand. She said managers told her there was no need to translate the documents. “We value working with federal and state agencies to improve processes and ensure all regulatory requirements are met and our customers are protected and treated fairly,” the company wrote. After the story on Clayton’s business in minority communities was published, U.S. Rep. Maxine Waters of California called on the Justice Department and the Consumer Financial Protection Bureau to investigate Clayton’s practices. Her letter was signed by three other lawmakers. Buffett, meanwhile, has defended Clayton’s practices, saying loan rates have nothing to do with race and are influenced by things such as credit score, earnings and whether the customer owns land. “Does that mean that every single transaction gets handled perfectly? No,” Buffett said in an interview with CNBC in 2016. An initial Seattle Times story, done with the Center for Public Integrity, a nonprofit investigative news outlet, had explored reports from Clayton customers about deceptive sales tactics and how Clayton’s interest rates that can exceed 15 percent leave many buyers in loans they can’t afford and in depreciating homes that are difficult to sell or refinance. In the stories, customers also reported being led to believe that Clayton’s in-house lender, Vanderbilt, was the only option to finance the homes they were buying despite laws prohibiting sales reps from doing double duty as loan officers unless they have obtained a separate license. The U.S. Senate earlier this year voted to roll back those rules. That rollback would allow sellers to refer customers to lenders. The measure is expected to be up for a vote in the U.S. House in the coming days.